The year 2014 has brought a number of trends and styles with it which can be seen in different fashions weeks of the world. The designers have introduced their fantastic collections of outfits but the outfit and its charm is incomplete without having perfect makeup. We can see a number of girls and women complaining about summer effects on their skin. This is because of their direct exposure in bright sunlight of summer and the damaging UV rays from thesun damage your skin gravely. Moreover, some people become victim of dehydration that leaves a bad impact on their skin making it dull and dry. Beauty products not only enhance the beauty, but also make you look attractive and impressive as well. You can see a number of cosmetic products for skincare in summer, but the question is what the best cosmetic brands to rely upon are? You should strictly avoid the local cosmetic brands as they are not good enough and may cause side effect instead of giving advantage. Whether you’re using skin care products or make up cosmetics, always go for such brand which is suitable for your skin type. As far as Pakistani audience is concerned, here are best cosmetic brands for spring/summer 2014 for them. Being one of the allergy tested brand, clinique is the best brand of cosmetics and is widely used all over the world. The globally recognized brand is also getting popular in Pakistan and liked by the Pakistan audience as well. Dermatologists also recommend this brand to all their patients who have skin problems like acne, pimples, etc. All the skin and cosmetic products of this brand are highly ranked all over the world and thus this is one of the best cosmetic brands of 2014 in Pakistan. The products of clinique vary according to the skin type so that the consumer can get the result according to desire. The most important thing to know about this brand is that, it produces the products by keeping in mind the climate conditions of every country and thus satisfies their targeted customers. This is something which can distinguish this brand from many other. This brand was founded by Frank Toscan and Frank Angelo. MAC stands for makeup and Art which produces a great variety of cosmetics for their consumers. This brand is also recognized as the best brand of 2014 for its good result cosmetics. In 2013, the brand was known as the world’s 9th best cosmetic brand and still producing quality cosmetics for their customers. 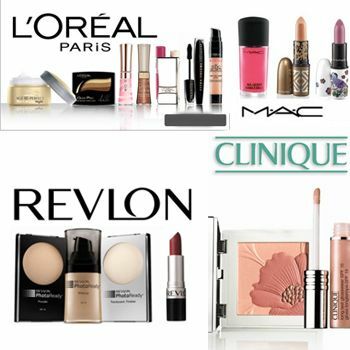 You can get good quality foundations, mascaras, lipsticks, eye shadows etc for makeover. This is one of the oldest brands of the world which is popular for its quality cosmetic products like lipsticks, foundations, eye shadows etc. This is one of the favorite brands of Pakistani users as well and ladies prefer this brand mostly. In 2014, the brand is raked up as one of the best brands due to good results of its cosmetics. The hair dyes and nail colors of Revlon are known as best among women in Pakistan which are not very costly to buy also. So the reasonable prices and good results make this brand as the best one among the customers. This is another best brand known not only in 2013 but also in 2014 as well. The cosmetic products like cleansers, mascaras, eye liners; hair dyes etc are very much reliable. You can get a huge variety of cosmetics like perfumes, skin care products, hair dyes collection etc. The Pakistani ladies usually prefer this brand more than any other international brand.